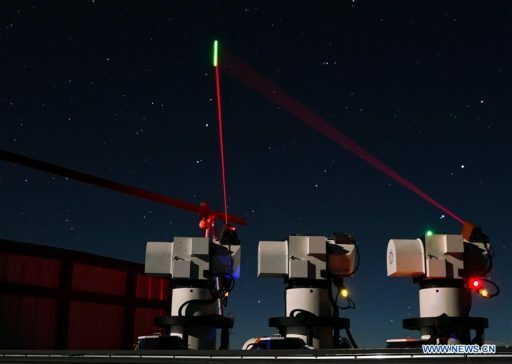 China’s Quantum Science Satellite was declared operational this week after five months of in-orbit testing, now set for a busy two-year mission demonstrating hack-proof communications by means of entangled photons as a trailblazer for what is widely considered the communications technology of the future. The Quantum Science Satellite, nicknamed Mozi, was launched into orbit on August 15, 2016 as the world’s first dedicated quantum communications testbed, embarking on an ambitious mission dedicated to validating the principles of quantum communications across vast distances of open space. 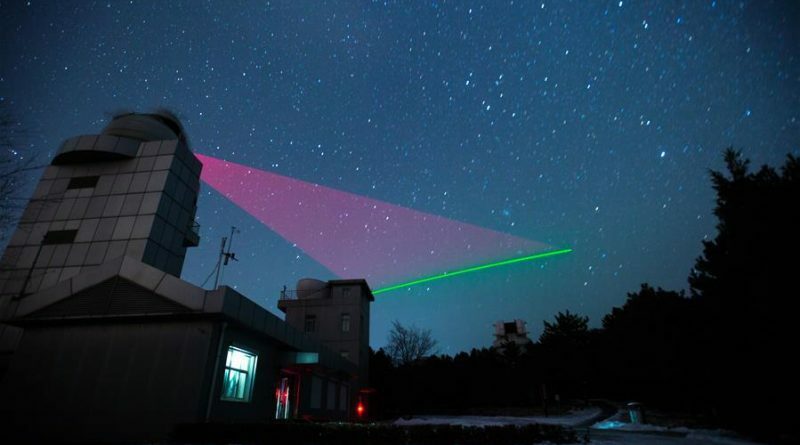 Within two weeks of its successful launch, the 640-Kilogram satellite conducted its first communication tests, demonstrating that it is capable of engaging in quantum communications by creating entangled photon pairs over great distances. 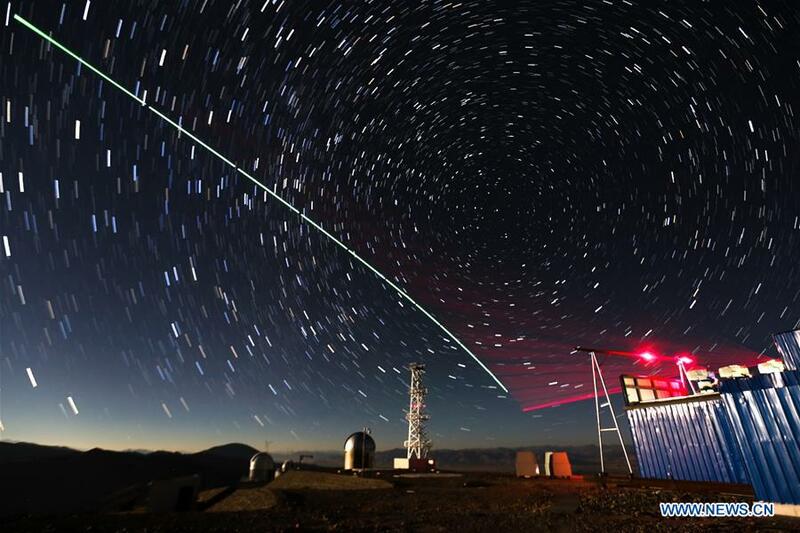 Long exposure photos of the communication tests with the satellite were nothing short of spectacular with the satellite streaking across the sky, sending down a green laser beam, while the ground station beams up a red targeting beacon that ensures the 20-centimeter telescope on the satellite can remain locked on the ground station and vice versa, ensuring a continuous link while the satellite passes overhead. 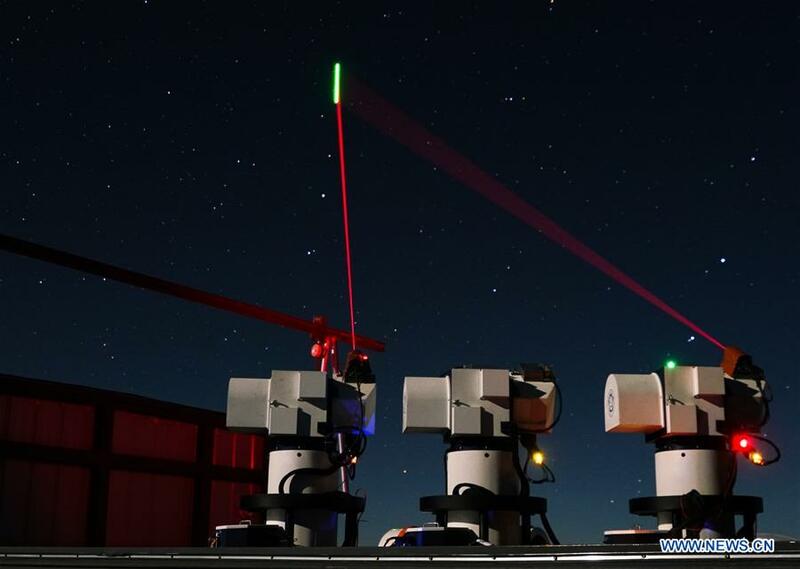 The China Academy of Science announced on Wednesday that the Quantum Communications Satellite was officially declared operational after a complete testing program of the satellite’s payload and the space-to-ground links with different ground stations. 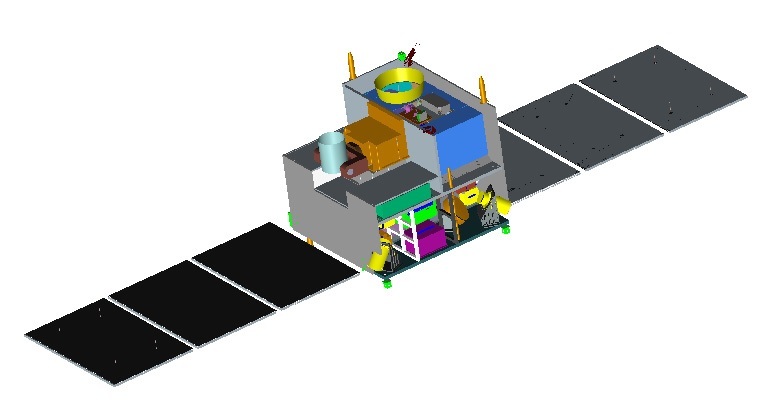 According to CAS, everything aboard the satellite is working to specification and initial tests suggest that the performance of the quantum payload is much better than anticipated prior to launch. Mozi has been named after Chinese scientist and philosopher Micius who, more than 2,000 years ago, made the discovery that light travels in straight lines. 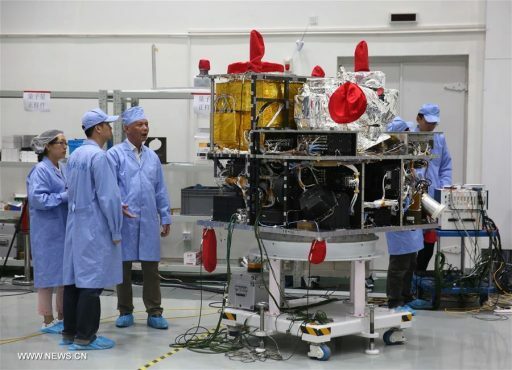 During the initial portion of the mission, Mozi has made contact with four ground stations spread across the Chinese mainland. 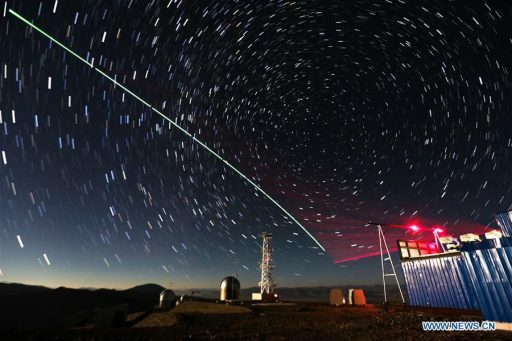 Mozi successfully connected the the Lijiang and Delingha ground stations via an uncrackable quantum link which, at a distance of nearly 1,200 Kilometers, set the record for the largest distance covered by quantum communications as the most advanced quantum networks on Earth only cover a few hundred Kilometers. In a world where hacking stories make the news on a weekly basis, inherently secure communications are sought after by governments, corporations and private entities. Quantum Information Science is an emerging field driven by fascinating physics and many promising applications such as high-speed quantum computers and ultra-secure quantum communications. Quantum Key Distribution, the exchange of cryptographic keys between two parties, is completed by means of correlated, or entangled photons – particles of light. The operators of the system share an encryption key encoded in the polarization of a string of entangled photons. This communication between two parties is inherently secure because any attempt to eavesdrop on or tamper with the system would cause the quantum state of the entangled photons to collapse, immediately making the presence of a third party known to the rightful operators of the system. The perfect security of quantum communications makes this technology attractive to national security entities and in some way, establishing reliable long-distance quantum communications represents the space race of the 21st century. The working principle behind Mozi’s $100 million demonstration mission revolves around a crystal that generates pairs of entangled photons whose properties remain coupled to one another however far apart they are – as postulated in the theories of quantum mechanics. 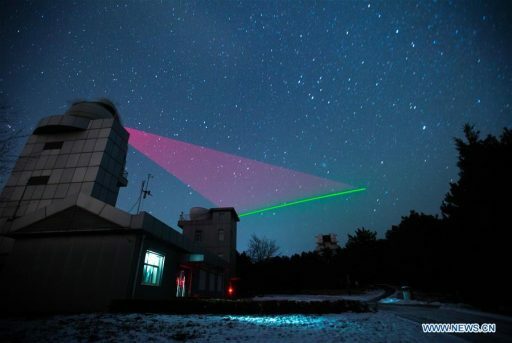 A high-fidelity optical communications system then delivers the partners of the entangled pair to ground stations in Vienna, Austria and Beijing, China where their polarization properties will be used to generate a secret encryption key. Though theoretically possible over infinite distances, quantum communication tests on Earth have shown a big issue – light absorption and scattering in the optical medium carrying the photons, either optical fibers or the air-filled atmosphere. To date, these issues limited communications to only a few hundred Kilometers. A satellite relay system would eliminate these issues since absorption and scattering do not occur in the vacuum of space. Mozi’s two-year primary mission is designed to gradually step up to more and more complex tests, starting out with relay of the quantum channel between two ground stations that are simultaneously in view of the satellite. Once these basic proof-of-concept tests are complete, the satellite will take the role of a repeater to cover longer distances – sending up a beam of entangled photons from Beijing and then using the satellite to beam them back down to a Vienna ground station to establish the first long-distance quantum relay. Also, quantum teleportation will be attempted – using information on the properties of photons to recreate a quantum state in a different location. China plans to develop a large constellation of quantum-based communications satellites to gain a leg-up on space-based eavesdroppers. This constellation, comprising up to 20 satellites, would generate a communications network with global space-to-ground communications coverage – a major step towards establishing a quantum internet. The quantum internet, or a quantum computing cloud, would likely consist of a combination of a satellite and terrestrial network. However, a system of this type requires entangled photons to be created by different sources and inter-satellite quantum communications that are still in the more distant future. Also, data rates – currently expected to be in the megabit range – will have to be boosted to several gigabits per second to compete with traditional space-to-ground data links and optical communications using lasers.